England was a painful experience for the young Larry. He told Malcolm Muggeridge that being transported from the Indian jungle to a tidy suburb in East Dulwich had really staggered him– a paralysing trauma. To have exchanged the rich pageant of exotic cultures, the dazzling scenery and sense of freedom and privilege which he had enjoyed in India for the cold, grey, gloomy London, where everyone seemed miserable, was a shock to the system. When Lawrence’s great friends George and Pam Wilkinson emigrated to Corfu in 1934, and began to send letters filled with their impressions of the beautiful Ionian landscape, Lawrence began to consider following them. He persuaded his family – who had in any case not put down any real roots in England – to leave behind the grey drabness of Pudding Island for the dazzling beauty of Corfu. “He headed for Corfu as unerringly as a ruminant to a salt-lick or an ailing hound to grass,” wrote Patrick Fermor. The Strawberry Pink Villa is still standing, but it has been renovated extensively and enlarged. It’s now available for rent as a holiday villa. Despite bestowing upon it a silly name, Lawrence was by all accounts delighted by the villa’s beautiful surroundings. In a letter to his friend Alan Thomas, he makes a noticeably Gerald-like remark about the local wildlife: “Yesterday,” he wrote, “I caught a tortoise eavesdropping on us”. 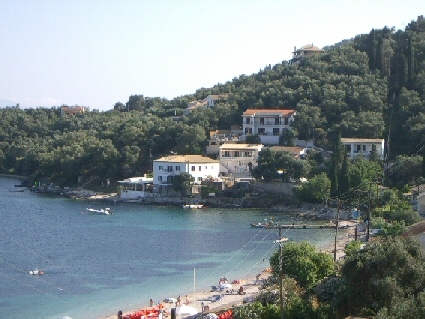 The Villa Anemmoyanni, or the Daffodil Yellow Villa as Gerald named it, still stands at Sotiriostissa near Gouvia bay, 4 km north of Corfu Town. A large Venetian mansion set in its own grounds and overlooking the tiny island of Lazareto, the villa would be home to most of the Durrell family until September 1937. 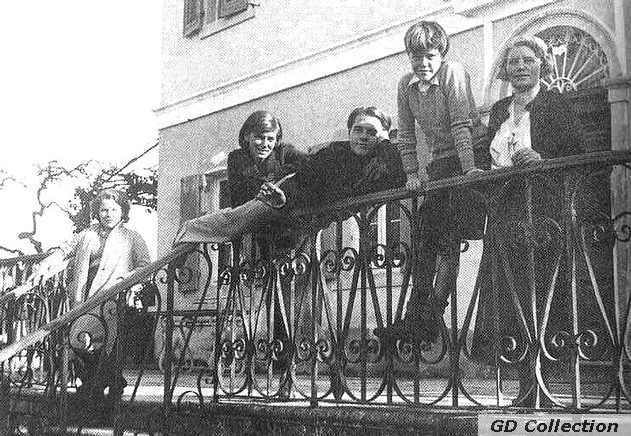 The Durrells had their own private jetty at the villa, where they moored their boats, including Gerald’s Bootle Bumtrinket (it seems Lawrence really liked that word). In nearby Gouvia bay, Gerald recalls, Theodore enjoyed watching seaplanes landing. According to a memoir by Theodore Stephanides, Lawrence and Nancy initially occupied a “bright and airy room with two large windows” in the villa, where Lawrence wrote and where Nancy presumably also painted. However, the couple did not live in the villa for long; sometime in early 1936 they moved to Kalami, 30km to the north, for a more peaceful place to work. (Stephanides mentions the move away from the rest of the family might have been also prompted by incidents involving scorpions and medicinal leeches). The villa is now a holiday home, is often rather fancifully described by local tour guides as the house that Gerald Durrell lived in and where he wrote my family. The last villa in which the Durrells resided on Corfu was the Villa Cressida (Gerald’s Snow White Villa) near Lake Halikiopoulou (and the Venetian salt-flats dubbed the ‘Chessboard Fields’ by Gerald). 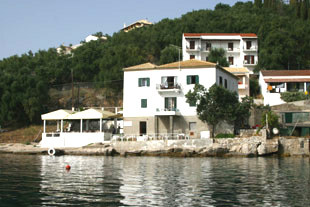 The villa, which is no longer standing, was just south of Corfu Town. More information about the Durrell Villas can be found here.